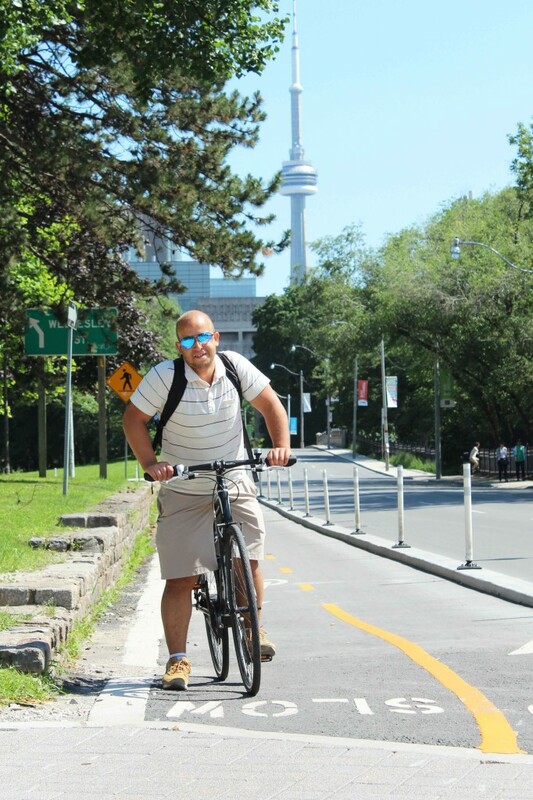 Bike Spotting at Queens Park: Do you like this new protected bike lanes? 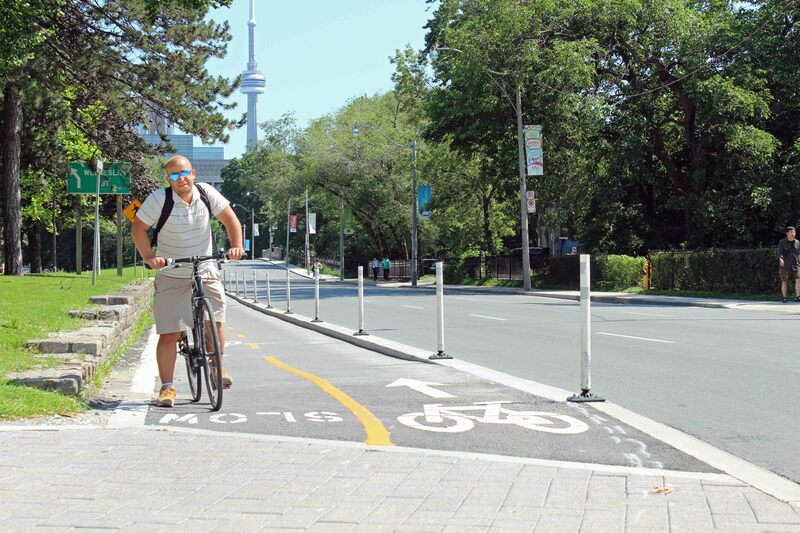 The city recently installed a bi-directional bike lane on Queen's Park Crescent between Hoskin Avenue and Wellseley Street. The new lane comes complete with a raised curb and bollards that separate the car traffic from bike traffic. 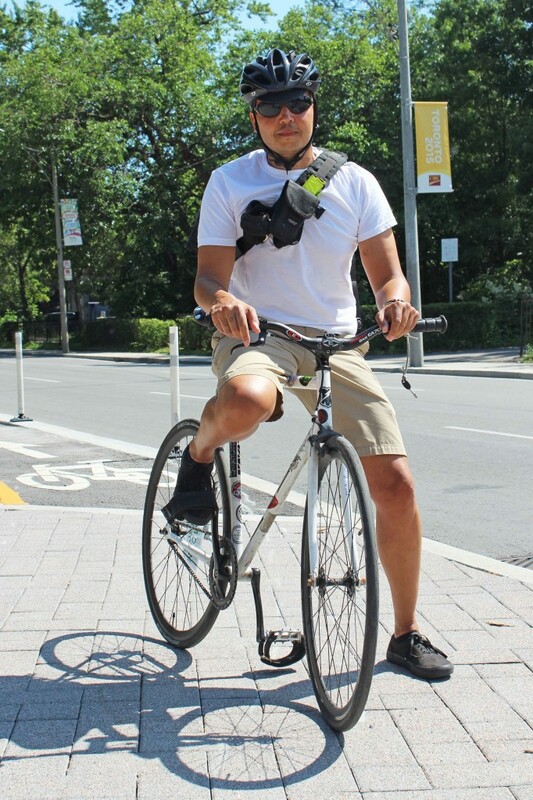 We asked cyclists using the new lanes what they think of the latest update. "I actually don't like it that much, I don't think it's intuitive that it's bi-directional and the crossover at Wellsley is not so good." "I just found it earlier today actually and I think it's amazing, we need more stuff like this in Toronto. It's a lot safer than going through the park." "I'm not a huge fan. It's a little more complicated over at the other [East] end. 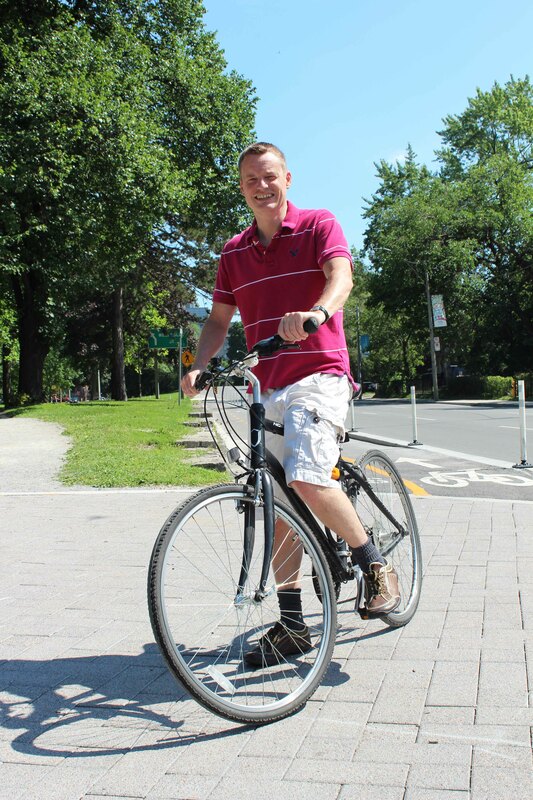 I'll probably keep riding through the park because it's just nicer." 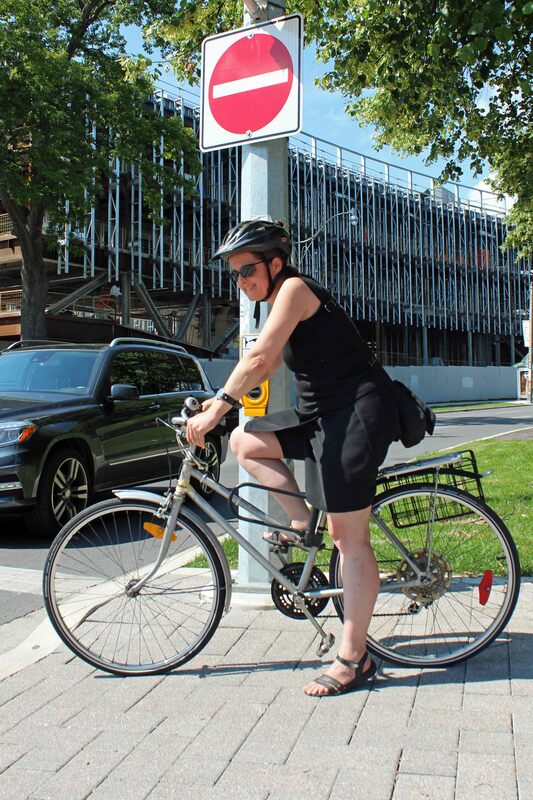 "I would say that they have not yet sorted out the planning around the [traffic] light. There's nothing to say to cars when a bike can cross. The people [driving] in the right turning lane don't understand if cyclists are good to go or if they're about to dart out at any moment -- it's really not clear. This side is still a bit of a nightmare in terms of planning." The new issue of dandyhorse is coming July 3! Pick up a free copy on July 3 at Urbane, Sweet Pete's, Bikes on Wheels and Hoopdriver. You can buy it online here and at these independent book shops.